Home / Shop / Kids Yoga Classplans / Lulu the Lion Cub Kids Yoga Class Plan – NEW STYLE! 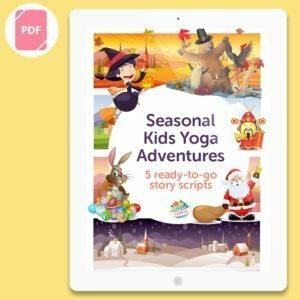 View basket “Tommy the Bedtime Turtle Kids Yoga Class Plan – NEW STYLE!” has been added to your basket. This 13 page kids yoga class plan will enable YOU to teach the Cosmic Kids Yoga story, Lulu the Lion Cub, step-by-step! The theme of this story is about being patient and kind to ourselves as we learn, and how we can manage the frustration we may feel when we can’t do something right away. This plan is a 13 page PDF download packed full of new features to make your teaching a big success! 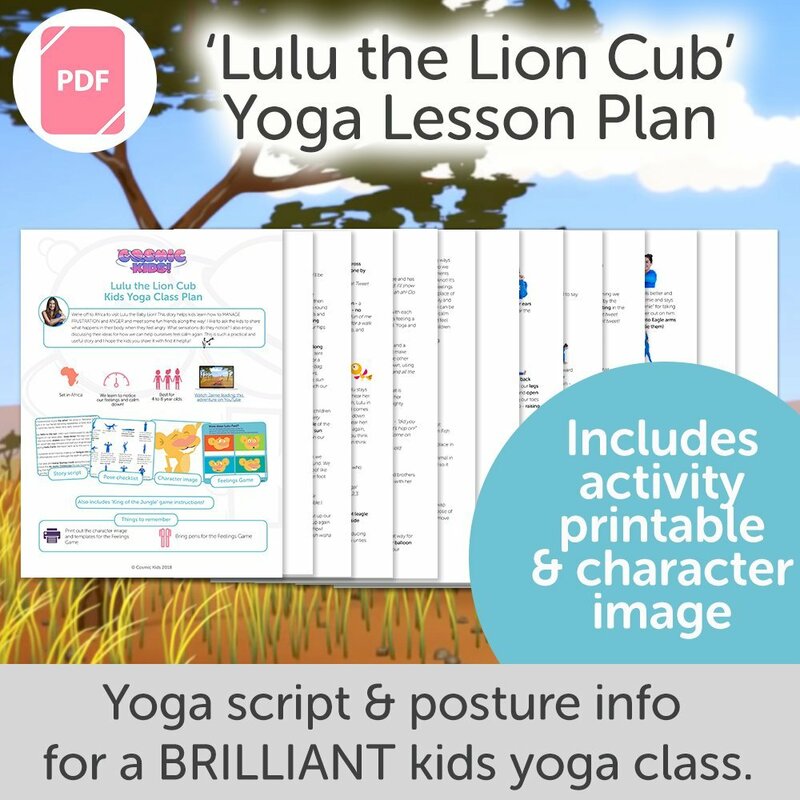 A 13 page PDF downloadable kids yoga class plan for the Cosmic Kids Yoga story – Lulu the Lion Cub! A lesson plan summary with age recommendation, equipment needed & an overview of the key mindfulness themes of the story. A printable character image to show the kids and bring the story to life. A story script so you can learn it and become the storyteller. Pose summary with images of each pose in sequence alongside key moments of the script. A printable follow-on activity template to be copied and handed out to the kids in your class. 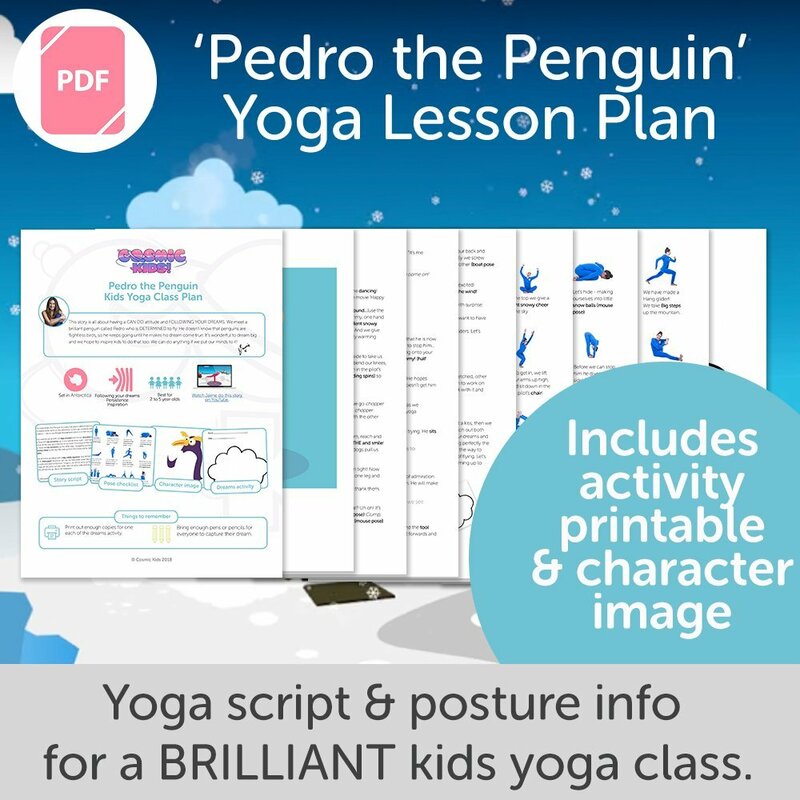 Use this kids yoga class plan in conjunction with the Big Book of Kids Yoga Postures for detailed info on all the poses. To learn how to teach kids yoga professionally check out our teacher training! 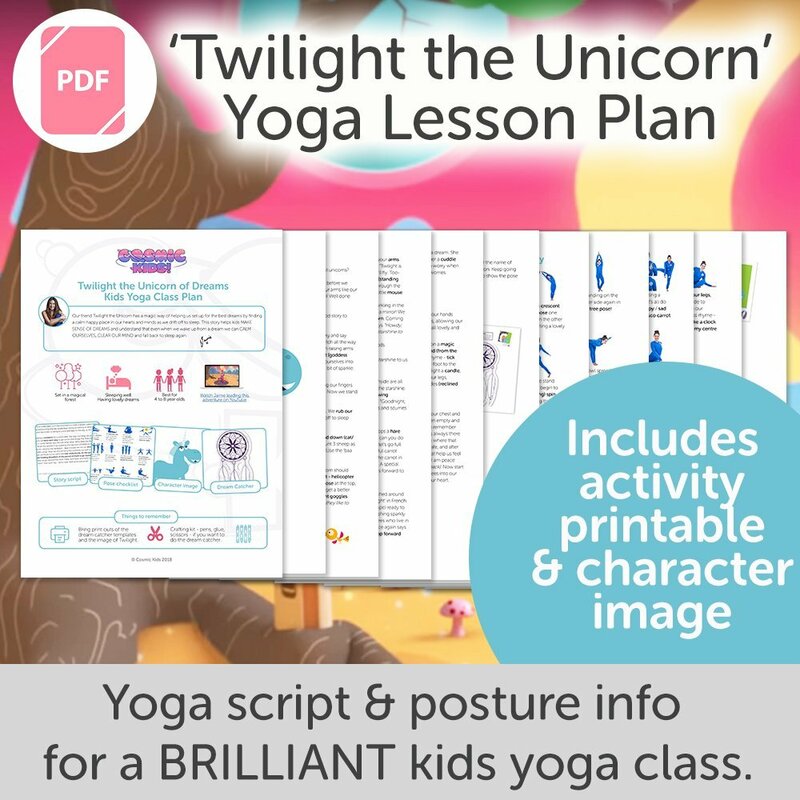 Twilight the Unicorn Kids Yoga Class Plan – NEW STYLE!